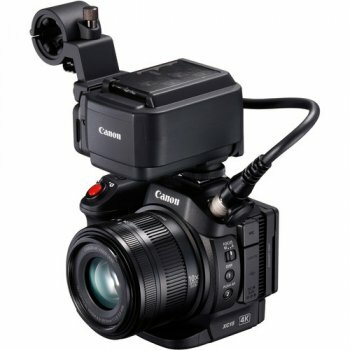 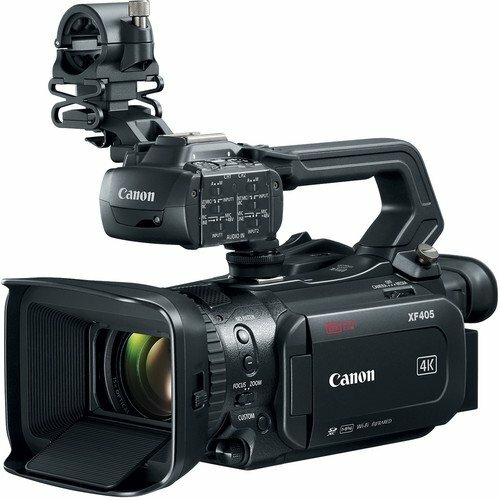 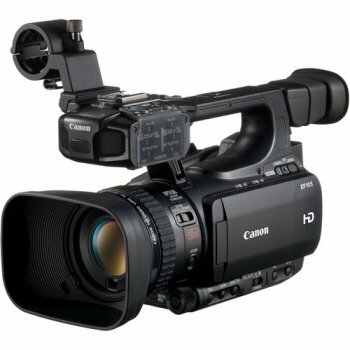 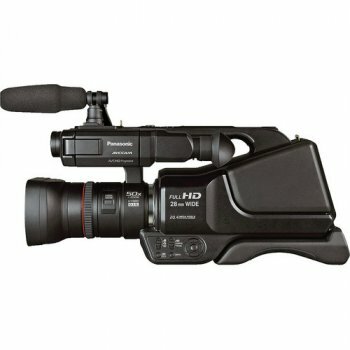 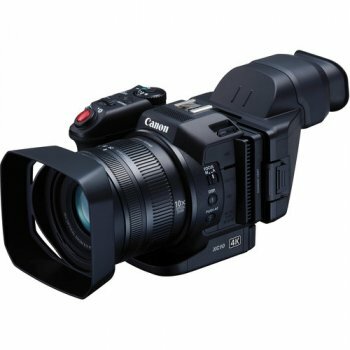 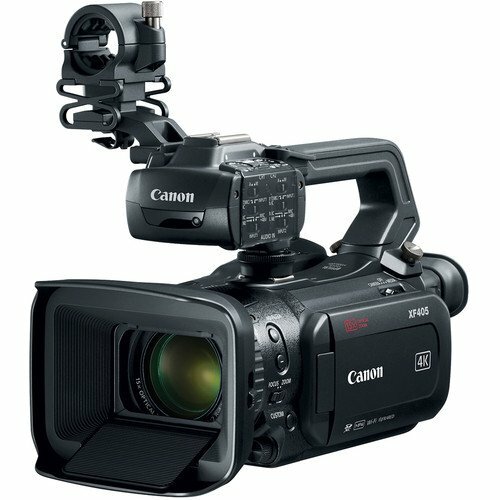 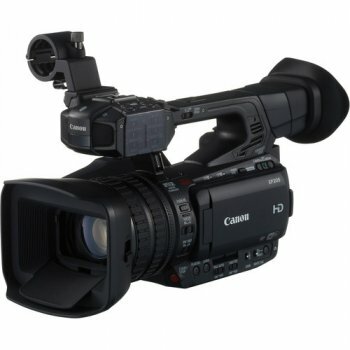 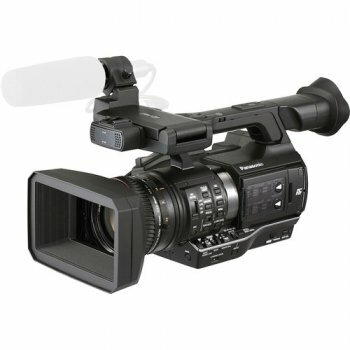 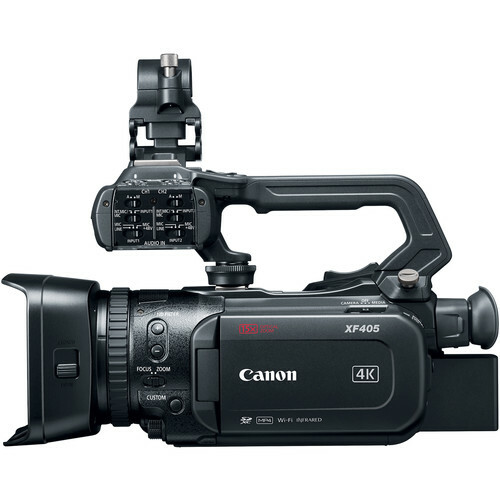 The Canon XF405 HD Camcorder is a compact, ergonomic camera featuring UHD 4K capture, a 1" CMOS sensor, Dual-Pixel CMOS AF, and two XLR audio inputs. 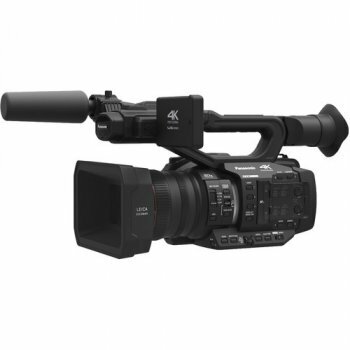 The XF405′s optics include an integrated 15x HD optical zoom with up to 30x Advanced Zoom, a nine-bladed iris for more natural highlights, and five-axis optical image stabilization. 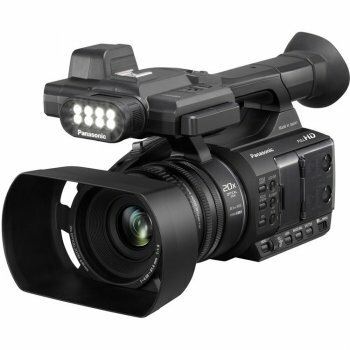 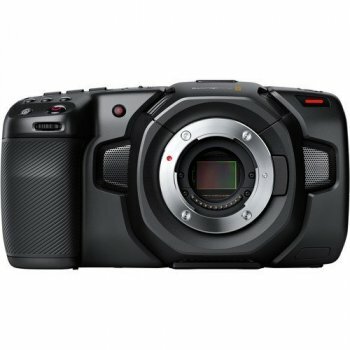 Pro-style HD features include Dual-Pixel Autofocus (DPAF), and dual DIGIC DV 6 image processors with high sensitivity and low noise, supporting Wide DR Gamma. The camera records full HDMI and UHD 4K up to 60 fps, captured to dual SD card slots, and outputs via HDMI 2.0 and 3G-SDI ports. 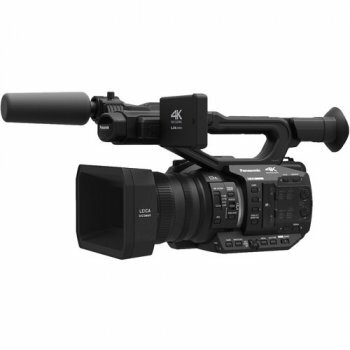 On the audio side, the XF405 features four channels of audio with manual/automatic recording levels, and two XLR inputs. 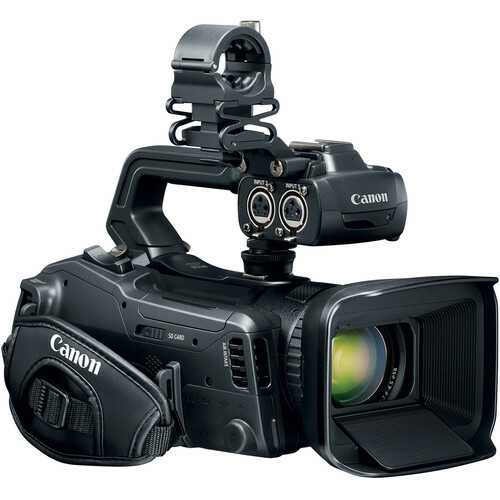 Built-in Wi-Fi allows you to control the camera′s functions via browser and transfer proxy files. 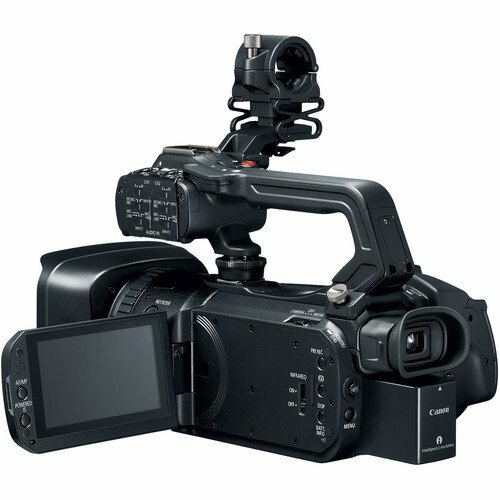 Camera control is also available using the included WL-D89 remote. 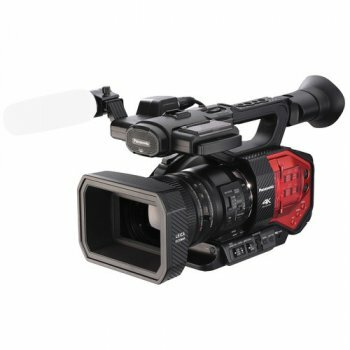 XF-AVC UHD 4K 60p Long GOP recording is scheduled to be available through a firmware update in 2018.